My latest Persistence of Vision column for Yahoo! India is about why I think of Martin Scorsese as a kindred spirit first and a great director second. Here goes. A long, long time ago, I got my hands on The Variety Book of Movie Lists, a collection of "best-of" listings in numerous categories. The contributors included critics, authors and directors, and most of their lists, as you'd expect, were restricted to ten or fewer films. Neatly selected and pruned, a single list rarely took up more than half a page. But there was one notable exception. Martin Scorsese - designated as "director and film history expert extraordinaire" - blithely named dozens of movies in each category that he contributed to. Going through these lists told me a few things about the man who had drawn them up. They told me, first, that Scorsese had watched a LOT of films and that he wasn't obsessed with proclaiming favourites or ranking movies "in order of preference" (his lists were alphabetical). Also that he had very wide-ranging tastes and was unapologetic about it: he would put a brassy, big-budget Hollywood studio epic on the same page as an artistically high-minded European avant-garde movie; his choice of horror films from the Hammer Studios included movies that many respectable critics wouldn't even deign to watch. At the time, the only Scorsese-directed films I had seen were Mean Streets and Taxi Driver (I was into Old Hollywood then, not all this new-fangled - meaning post-1960s - stuff). Both films feature a cameo by the director: in Mean Streets, he plays a hitman who gleefully kisses his gun before shooting Robert De Niro's Johnny Boy in the neck in the violent climax; in Taxi Driver he appears, bearded, sinister, looking vaguely Satanic, as a passenger who makes De Niro's cab-driver stop outside an apartment where (he claims) his wife is cheating on him. These two roles were my first glimpses of Scorsese on screen, and they fixed him in my mind as a tough guy who made gritty, violent urban movies about gangsters and psychotic loners (and who presumably wouldn't have much time for the gentler films of an earlier age). 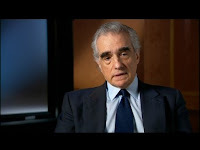 But the Scorsese I subsequently discovered - through his interviews and the video introductions he did for various films - was the antithesis of those cameo roles, a kindly, middle-aged man with a seemingly boundless knowledge of film history. Interestingly, many of the movies that Scorsese loves are movies that most viewers would think of as very un-Scorsese-like. 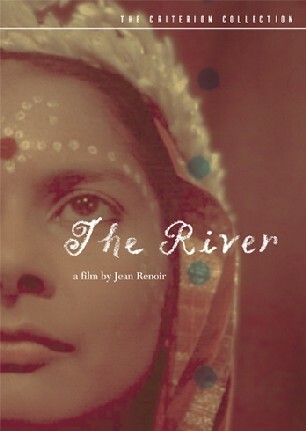 Take Jean Renoir's The River, a beautifully photographed tale about an English girl coming of age, learning about love and loss, in Bengal in the early 1950s. I love the look of this film - particularly its poetic use of dissolves - and I also appreciate that though the main characters are British, it isn't patronizing towards India and Indians (quite an achievement for a foreign film made in that era). But The River is also static in places, heavily dependent on voiceover, and the acting is very uneven. I'm perplexed by Scorsese's unqualified adoration for it. On my DVD there's a video introduction by Scorsese, who was instrumental in the restoration of the print. He first saw this film at age nine, he tells us, and it was one of his formative experiences as a child. "It was my first experience of a very different culture," he says, adding self-deprecatingly, "My family wasn't well-educated, I didn't know much about other places, but despite my own very different Italian-American background, I identified with these people on the screen, I felt for them." Watching Martin Scorsese speak about a favourite movie is a good way to get excited about the medium. He waves his hands about, talks in the rapid-fire style one associates with gangster films of the 1930s; he's an excitable child, but he's incredibly eloquent and perceptive at the same time. You see the master technician take over when he discusses Renoir's careful framing of the lush tropical landscape in The River, the role of colour as a character in the film, and how the rich, intense photography reminded him of the Impressionist paintings of Renoir's father Auguste (whose work Scorsese had also seen as a child without knowing anything about the connection between the two men). Many of us, after entering adulthood's prison, tend to be wary of the films that held us in thrall when we were children or adolescents; we are afraid that revisiting them might reveal them to be quaint and embarrassing, and destroy our idealised memories. But here's Scorsese, director of groundbreaking modern movies like Raging Bull and Taxi Driver and Goodfellas, saying in the most matter-of-fact way that he still watches The River at least three or four times every year, he loves it that much. Of course, it's one among hundreds, perhaps even thousands, of movies that he cares about. I've read his views on many films and I've rarely if ever found him saying something strongly critical - he comes across as the archetype of the open-minded movie-lover whose first (and often only) instinct is to see something good or useful in a film. I find this quality fascinating in a man who is himself a very exacting, particular filmmaker. Surely you'd expect Martin Scorsese to be more discerning, even snobbish? After I became more familiar with Scorsese's own cinema, I came to appreciate how often and how generously he pays tribute to the films that influenced him. The opening credits of Mean Streets (still my personal favourite Scorsese movie) include a shot of a motion-picture camera coming to life, which is reminiscent of the opening credits of Michael Powell's Peeping Tom (another film Scorsese helped restore). In a pivotal emotional scene near the end of Casino, Scorsese uses a few notes from Georges Delerue's lovely, mournful score for Contempt. Unlike most other great directors, he unselfconsciously remakes films made by other people: films like the workmanlike 1960s thriller Cape Fear (which, again to my surprise, Scorsese referred to as a "gem" in one of his interviews; sorry Marty, but it ain't anything of the sort!). Audacious as this will sound, much as I admire Scorsese's own body of work, I still think of him primarily as a film buff and permanent student - and therefore, a kindred spirit. If I had to name a single director, from any period or any country, with whom I'd want to spend a week discussing and arguing about movies, he would get my vote hands down. P.S. For some of Scorsese's typically enthusiastic mini-reviews of old Hollywood films, visit this site and check the archives. Had seen his A Personal Journey with Martin Scorsese through American Movies some time back, and was blown away by his knowledge and love for films. I might be mistaken, but the PoV article seems to have missed the link at the end to the site with his reviews. Could you share that please? Your article really struck a chord. I've felt this about Scorsese for a long time and my admiration for the man grows by leaps and bounds every time I hear him talk about cinema or watch one of his films. Speaking of lists, I used his list of best colour films (two separate ones for english language and foreign language films) as a reference for a class I taught recently and found it extremely useful. I'm always amazed by the depth of Scorsese's knowledge. His enthusiasm for it as a medium and as an art form is contagious. What strikes me every time I hear or read his views on films - even his own - is the wonder with which he describes the simplest of cinematic moments. I find it reductive when people describe Scorsese as a genre-filmmaker. Because that is exactly what he is not. 'Permanent student' is a great way to describe him. And by being a permanent student, what a great teacher he would make! I watched the "Making of Raging Bull' on youtube recently and learnt more than I had in all my formal lessons on filmmaking. "If I had to name a single director, from any period or any country, with whom I'd want to spend a week discussing and arguing about movies, he would get my vote hands down"
p.s. - have you watched the 'Scorsese on Scorsese' film? i love that Scorsese refers to films as 'pictures' :) and yes, please share the missing link at the end. 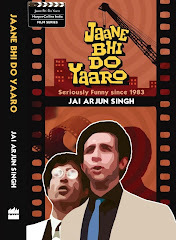 Captain Subtext, Mandakini: here's the link - it wasn't working in the morning so I asked the Yahoo chaps to remove it. Seems to be working now, for the time being anyway. Have to rush now, but more soon. What I like about Scorsese the historian is that he has introduced many of us to an alternative cinema culture - movies that have been ignored by the Oscar "Academy" over the years...movies that are never going to feature in those ridiculously mainstream AFI top 100 lists. A lot of cinema buffs I've met (atleast in India) almost reflexively tend to associate Old Hollywood with popular classics like Casablanca or Roman Holiday. Thanks to critics like Scorsese/Rosenbaum, one is able to move past those sentimental favourites and unearth the genuinely great films of that era. I would never have got around to watching movies like The Strawberry Blonde or The Girl Can't Help It! but for Scorsese's DirecTV column! By the way, The River is really an extraordinary film! I don't think I'll ever get to see another movie of its type again in my life. (The Archers' A Canterbury Tale is another film that leaves me with a similar feeling). These movies do lend themseleves to nitpicking, what with all their imperfections. But that's what makes them special. They weren't directed by recognition-hungry competitive spirits but by directors who were primarily interested in narrating a nice rambling story with a personal touch. Mandakini: no, haven't seen Scorsese on Scorsese - would love to. But there are lots of fine reflections from him on his own work as well as the work of other directors in that Projections 7 special. Shrikanth: still in two minds about The River, but I can certainly imagine the impact it must have had on the nine-year-old Scorsese - especially if the print in the hall was as lustrous as on the Criterion DVD transfer. He also mentions The Red Shoes as one of his all-time colour favourites. I haven't listened to Scorsese's commentary on it. It is pretty to look at, though I haven't managed to discern any symbolism in its use of colour. What I liked best was the narrative itself, dealing as it does not just with adolescent infatuations, but with rootlessness and insecurities about one's identity. Probably the only serious flaw in the movie was Radha Burnier's casting. Renoir perhaps intended to portray a girl who is spiritually a Westerner but trapped in an Indian body. However, Melanie seemed too Indian in her demeanour anyway, which probably defeated the purpose. I couldn't really relate to The Red Shoes - probably my least favourite Archers film. By the way, I think Scorsese sometimes goes overboard in his praise of certain B-movie film noirs. For instance, Kiss Me Deadly is terrific entertainment. But I'd hesitate to call it "a strangely poetic, deeply unsettling experience". what the hell have you done to the site? agh. jesus. A delightful piece from the '70s, published in Film Comment. A fan apart: thanks for that link. But good grief, he's seen Giant over 40 times?! I think that adds up to more minutes than in my lifetime so far! Also, Scorsese's voice here is a little more irreverent/willing to be critical than I've seen in his more recent discussions about films. Yes, that's quite true. He probably knows that a lot of films on the list wouldn't pass critical muster. Can picture him saying: I just like them, you know? Whatcha gonna do about it? Love of film ties strangers together. I grew up in the middle of nowhere (Columbus, Ohio, in the fifties) and Scorcese in a walk-up tenement in NYC's Little Italy. But I was a film freak like him, seeing the same movies in much the same way: often alone, often in the middle of the night on television. His own movies had a disproportionate influence on me. The credit sequence in MEAN STREETS turned me on the The Ronettes, which turned me on the Phil Spector; a year later I was playing girl-group covers in a band and producing tracks. When I first saw TAXI DRIVER I couldn't talk for an hour after the screening; three years later I moved to NYC and (purely by chance) became a cabbie myself, working out of the same garage — Dover Cabs on Hudson and Charles — where DeNiro had prepared for the role. His guilty pleasures are mine. your favorite films - 2001: A Space Odyssey, the first time I saw it. I was not really unlike half the critics who saw it the first time it was screened and walked out. I didn't give up there and started calling it nonsense. I bought the blu-ray, analyzed more deeply, read some reviews on the net. I appreciate the film a lot more now. b) This piece inspires me to watch more films. There are so many films out there which I want to watch and the list keeps growing as my horizons and awareness expand. I will make more of an effort to watch films now, I plan to usually but don't end up watching as many films as I would like. c) Being a student of film is very vital to be a great director, or even a great actor or writer. This holds true for most fields I would imagine. If you don't know much about it when you start, and that's fine, you eventually do end up studying deeply about it. Even some one like Sehwag who hasn't even heard of Pankaj Roy I imagine when they came close to breaking that opening partnership record, when you hear him talk about the game, there is logic behind it which shows he is studying the game. i don't know whether you've seen "the age of innocence" but if you want to see a completely different low-key, smitten scorsese, this is the movie. it'll explain "the river" side of him. I had bought A Personal Journey with Martin Scorsese some years ago, and enjoyed it. I had bought it for the black-and-white pictures more than anything. More recently, I discovered his My Voyage to Italy, where he described Italian films he grew up on and made me want to watch dozens. Before this, Fellini was the only one I knew to watch. I loved Amarcord, but others left me feeling like I was watching a neverending music video. Any ten minutes were worth watching. But too much of a good thing. Scorsese added Rossellini onto my list of favorites. A couple months ago, I found Conversations with Scorsese by Richard Schickel. That got me to rent Renoir's French Cancan and The River. While I do love my favorite Scorsese films, he is first and foremost my trustworthy guide to the movies of others. I'm no movie auteur to analyse each veteran director's work, nor can I generalize the film making style of any ace film maker's based on my limited viewing experience of one or 2 of their films. Your posts just help to prepare that checklist of must see movies.